May 24, 2018 – AC Energy President and CEO Eric Francia believes that industry risks must be addressed first in order to achieve full potentials of renewable energy. 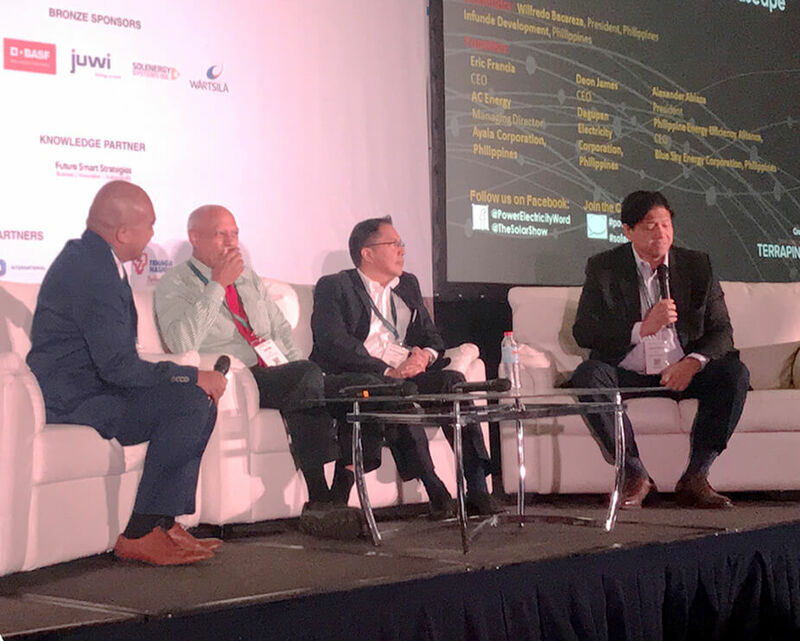 In a panel discussion at the 2018 Power & Electricity World Philippines, Francia cited some risks, which includes high cost of storage and land conversion issues, that could be stumbling blocks to COP 21 goals and the DOE’s target of achieving 30% RE output by 2030. He also mentioned the possible impact of the second phase of the government’s Tax Reform for Acceleration and Inclusion (TRAIN 2) on RE in case the sector is affected by the adjustments in the corporate income taxes. “If we are serious in achieving these goals, all of these risks should be mitigated and addressed,” Francia said.